Judy retired in 2016 with more than 20 years experience as a speech pathologist, audiologist, and communications disorders specialist. Her last 12 years were in schools within the Portland Public School (PPS) District, most recently at Woodstock Elementary. 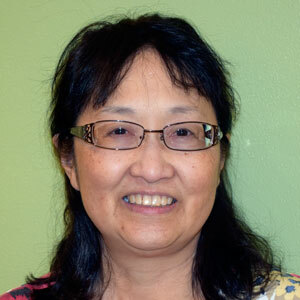 Judy is on the PPS K-2 Literacy Committee for Speech Language Pathologists and is a member of the American Speech-Language Hearing Association. She received two bachelors of art from the University of Northern Colorado, one in elementary education; the other in deaf education. Her masters of science from Washington University in St. Louis is in communications sciences with an emphasis in audiology, and she completed post-graduate work at Portland State University for a certification in speech language pathology. Judy awarded Shadow Bucks (paper money) to children who turned in their homework, had a positive attitude, and achieved their monthly goal. At the end of the year, Judy coordinated a popcorn party for her speech students, who were each allowed to bring a friend, who was not in special education.